One of the most anticipated events at the Winter Olympics, the ladies single skating, is also one that has traditionally been dominated by some of its youngest competitors – teenagers who show maturity belying their tender years. RT Sport takes a look at some of the youngest-ever Olympic champions in women’s figure skating, all of whom proved that up-and-coming junior athletes can steal the show on the biggest winter sports stage. Russia’s Yulia Lipnitskaya is the youngest skater ever to win Olympic gold. She took the coveted title as part of the Russian team at the 2014 Olympics in Sochi, at just 15 years and 249 days old – setting a new age record in women’s single skating. Dubbed the “Girl in Red” for her mesmerizing ‘Schindler’s list’ free-skate single routine, Lipnitskaya was unrivaled in both her team event appearances to give Russia the first figure skating gold in Sochi. Lipnitskaya failed, however, to claim a medal in the individual competition, after delivering an error-riddled performance which resulted in her finishing a disappointing fifth. The immensely gifted skater was expected to be among the world’s leading stars for years to come, but sadly announced her retirement at the age of 19 after a battle with anorexia. US skater Tara Lipinski claimed the Olympic gold at the 1998 Nagano Winter Games at the age of 15 years, 8 months and 10 days, defeating her teammate Michelle Kwan who had been widely considered the pre-tournament favorite. Lipinski became the youngest ladies Olympic figure skating champion, beating a record that had stood since Norwegian Sonia Henie took gold at the 1928 Winter Olympics in St. Moritz, also at the age of 15. The US skater had remained the youngest Olympic champion in women’s skating for 16 years, until Russia’s Yulia Lipnitskaya beat her record at the 2014 Games in Sochi. Lipinski is also the youngest skater to win the world championship title, doing so at the age of 14 years, 9 months and 10 days. This achievement is set to remain unbeaten, as in the late ‘90s the International Skating Union (ISU) raised the minimum age for participating at major figure skating events to 15. Lipinski is also famous for developing her signature element, a triple loop - triple loop jump combination, which was immaculately landed at the 1998 Olympics, helping her to outscore the short program leader Michelle Kwan. Sarah Hughes was a surprise winner at the 2002 Salt Lake City Olympics, when she sensationally climbed up from fourth place after the short program to finish first ahead of the top medal contenders Michelle Kwan and Russia’s Irina Slutskaya. However, the victory of the 16-year-old American athlete was not without controversy, as many pundits said that the majority of Hughes’ jumps were under-rotated. She became the only American woman to win the Olympic title without ever having won either the world or US national title. Adelina Sotnikova was the first Russian figure skater to clinch the Olympic title in the ladies individual event. Her talented predecessors, Maria Butyrskaya and Irina Slutskaya, triumphed at the world championships, failing, however, to lay their hands on the Olympic crown. 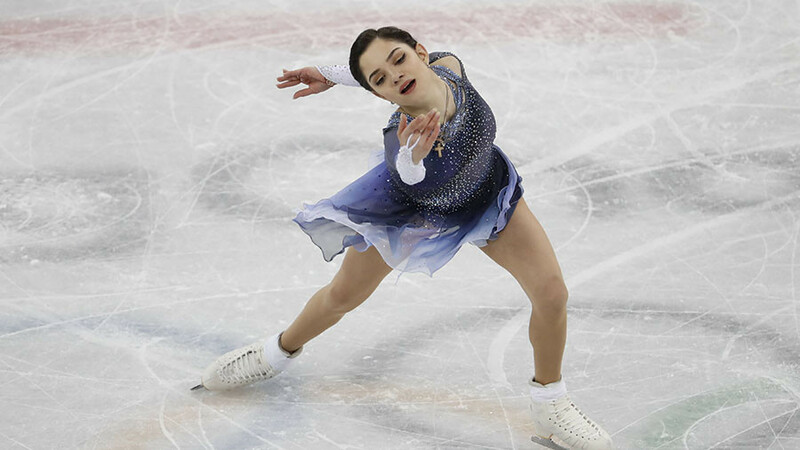 Remaining in the shadow of her fellow competitor Lipnitskaya, who had captivated the Sochi crowd in the team competition, Sotnikova stole the spotlight in the individual event by beating not only her compatriot Lipnitskaya, but also the defending Olympic champion Yuna Kim of South Korea. The victory, however, instigated a long-lasting debate among figure skating experts, with skeptics insisting that Sotnikova’s performance was over-scored and the gold should have been given to the Korean skater. More teen glory at PyeongChang? 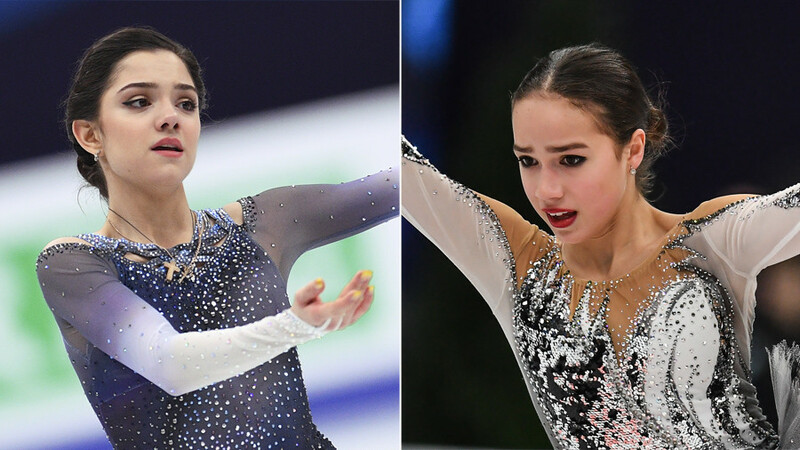 The 2018 PyeongChang Games could be again won by a teenaged talent, as the battle for gold in the women’s figure skating event is expected to be betweentwo Russian skaters, Evgenia Medvedeva (18) and Alina Zagitova (15). Zagitova, who made her senior debut at the continental tournament, outclassed all of her more experienced rivals to winning her maiden European title. She demonstrated near-flawless skating in both the short and free programs in Moscow, nailing all of her jumps, including a rarely seen triple Lutz-triple loop combination. The pair have already warmed up for their battle by helping Russia to claim silver in the team event. 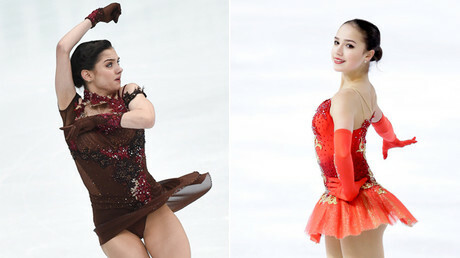 Medvedeva set a new world record in the short program, while Zagitova also displayed a near perfect performance in the free skating event.